Surfacing the roller of APT transport track with A 58 wire and F 11 flux. 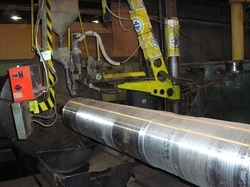 Welding of a rolling mill stand with the weld cross section over 1.2 m2. 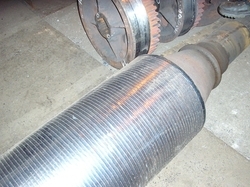 Surfacing of a worm shaft for the transport of raw materials, by use of metal powder type NP60WC45. 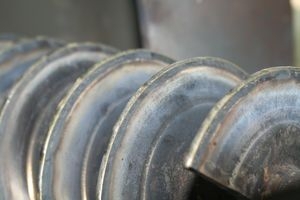 The weld overlay thickness was 5 mm. 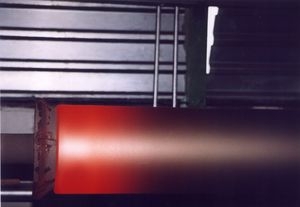 Surfacing of rolls for TVa in U.S.S. Košice by use of metal powder type NP 62. 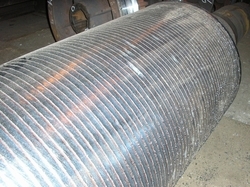 Size of rolls: Ø 300 mm x 2200 mm.